Beamforming is used in audio and video conferencing and multimedia systems, ultrasonic imaging, and wireless systems to enhance the signal of interest. VOCAL’s expertise in the design, implementation and configuration of adaptive beamforming algorithms will help you select the right beamforming solution for your product development. Our source code is optimized for DSPs and CISC/RISCprocessors from TI, ADI, ARM, Intel and other leading vendors. Our adaptive beamforming software may be licensed as standalone algorithms or as part of a comprehensive library. Custom solutions are also available. Contact us to discuss your adaptive beamformer requirements. Adaptive Beamforming is used to combine waves of the same frequency, either constructively or destructively, in the spatial and temporal domains. On the receiver side by having multiple spatial samples of waves, an adaptive beamformer can enhance or cancel a wave coming from a certain direction. Similarly on the transmitter side, multiple spatial transmitters can generate waves so that the radiated adaptive beamforming pattern is coherent or destructive in a desired direction. 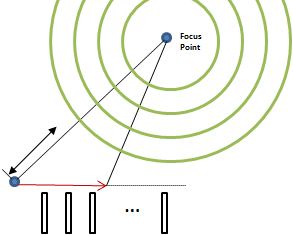 Adaptive Beamforming is a ubiquitous technology when it comes to wave propagation. It does not matter if the wave is light, acoustic, seismic, or ultrasonic, etc. a beamformer can be applied. Because of the wide range of beamformer applications, there exist multiple design criteria for beampatterns. They include creating beams that match a desired beampattern, having a minimum beamwidth for a certain sidelobe level, or null steering. VOCAL’s beamforming software is a key component of our Voice Quality Enhancement System which uses an adaptive beamformer to dramatically improve the audio output and user listening experience. Our beamformer is also available with our Mobile VoIP solutions for Android and iOS devices with multiple microphones. In voice and video conferencing, multimedia and other applications, adaptive beamforming algorithms are essential to respond rapidly in these dynamic environments. VOCAL’s optimized software is available for the following platforms. Please contact us for specific Beamforming software supported platforms.